Chalkboard themed design for pizza restaurant featuring animated steaming hot effect and rotating specialty pizza options. Embed Digital Just launched new digital menu boards with Pizza Hut. We installed a 4 board solution that is connected to the cloud running on embed digital signage software. 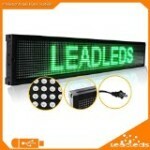 Visit us at www.embeddigital.com to find out more about digital signage. Digital Signage have been around for a few years, but just within the last year the consumer displays and TVs have been using much more advanced technology at much better price point. From Full Array (True LED) Technology Running @ 500 Nits Brightness with 1920 x 1080 Resolution in Sizes 32? / 42?/ 47?/ 55?/ 80? OR 90? to Mini Net book running 720P / 1080P Format HDMI output Interface. at prices from 0 to ,000. We can help you utilize these affordable cutting-edge technology displays to get more business in your door 24/7. We can put an advertising campaign displaying as many massages as you want; thru the LED Window Display. driving more business into your store. This is the most powerful digital board, yet the easiest to edit; you can edit it to your specification in less than 60 Minutes. Useful in any business, retail, wholesale,or services. You can write it in your native language, to display a price lists, items description, services highlights, or just simply a rotating picture and video slide show.